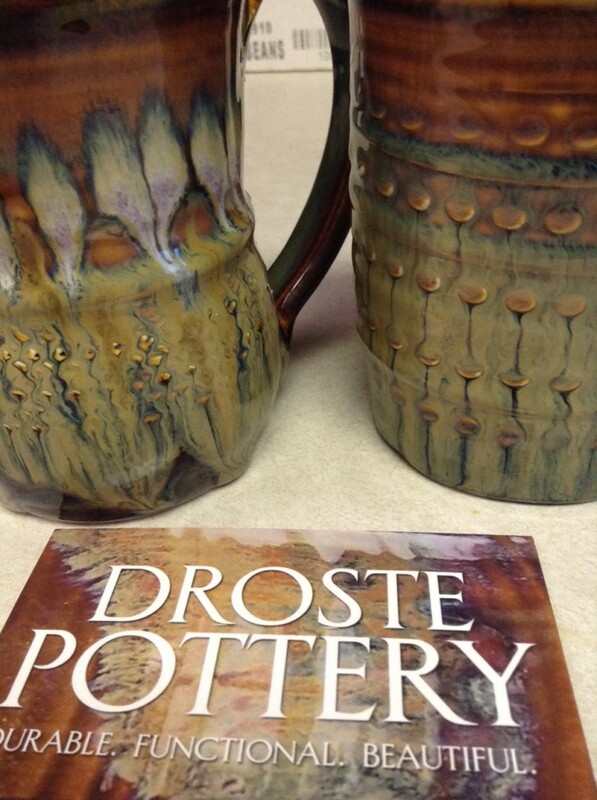 An early birthday present for Beth, I ordered these hand-made, beautiful mugs from Droste Pottery. Fantastic. 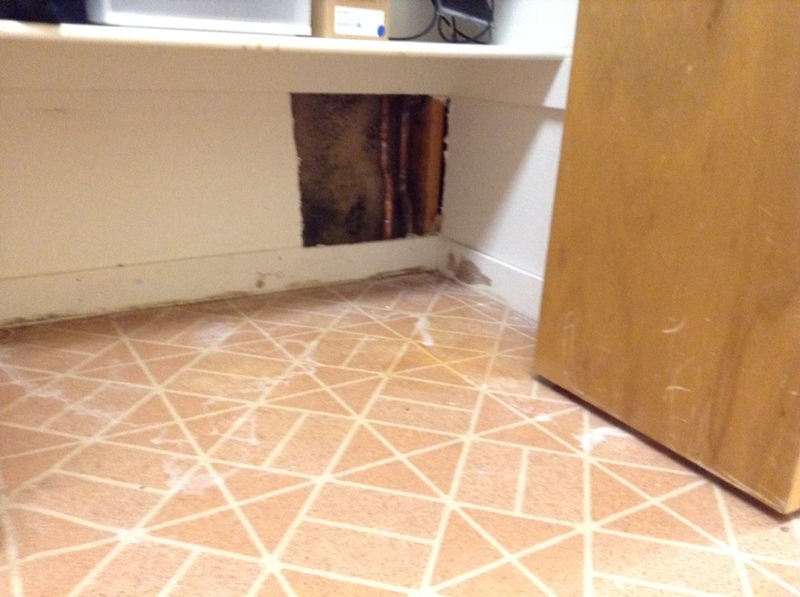 For a week now, we’ve had water coming out from the baseboards in the laundry room. We finally got a plumber to come and check it out. After cutting several holes in the drywall, he found the busted pipe, and spent most of the rest of the day fixing it. There was water everywhere, and it’ll take a long time to dry out, but we got the leak fixed. Thankfully it wasn’t a leak in the concrete slab/foundation. After all the plumbing drama (the leak wouldn’t stop long enough to attach the new fitting at first, and then the water softener started leaking ALL over the laundry room), we went to dinner.